As the prescriber and payer environment for launching new pharmaceutical products becomes more challenging, pharmaphorum catches up with Cegedim Strategic Data’s Adam Harris to hear his views on how the pharma industry can plan for success. Launching new pharmaceutical products has never been simple, with marketers well aware that a poorly planned and executed initial launch for a new product makes it very hard to be successful in the long run. It is also getting tougher, as geographic environments become more fragmented and market access determines whether or not new products are prescribed, necessitating deeper understanding of local environments and decision-makers from both the prescriber and payer side. 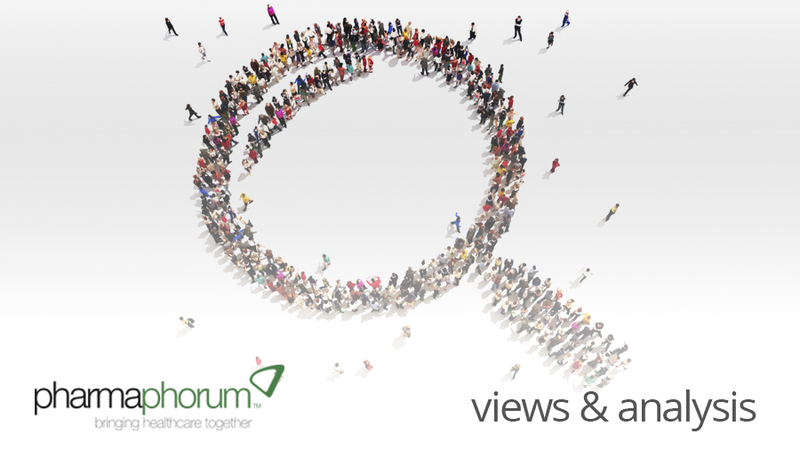 In order to better understand the current challenges around pharma launch, pharmaphorum’s Paul Tunnah caught up with Adam Harris from Cegedim Strategic Data to hear his views. PT: What are the biggest challenges you see in launching new pharmaceutical products? AH: Having worked in this area for over 13 years there have been some substantive changes in the launch process. The biggest shift has been in the increasing prominence of the fourth hurdle – cost-effectiveness – in gaining market access. As bodies like NICE [National Institute for Health and Clinical Excellence (UK)] and other national price regulators come to the fore, it makes the reimbursement aspect of launch much harder. In a recent survey we ran, 95% of marketers cited pricing, market access and reimbursement as their biggest challenge [see figure 1]! Figure 1: Proportion of Cegedim Strategic Data survey respondents ranking pharmaceutical product launch considerations as the most challenging (ranked as 1-3 on a 7 point scale from 1 = most challenging to 7 = least challenging). As a result, we have seen fewer launches as tougher decisions are being made earlier to halt development for drugs that are not commercially viable, and there are fewer ‘me too’ therapies coming to market, plus we are seeing some niche indications under supported. Operationally, while sales reps remain a very important part of the promotional mix in the launch phase, there is more focus on national and regional payers, plus efficient multi-channel approaches. Sadly, the particularly tough cost-containment environment in the UK means it is not typically an early launch market any more. PT: Where are the critical planning steps during pre-launch activity? AH: Successful launch has to start in the lab with identifying suitable clinical trial endpoints that not only satisfy the regulators, but also support the health economics arguments that are necessary for increasingly sophisticated payers. In addition, as medicine becomes more personalised and segmented, accurately identifying patient populations and sizing the market becomes more important, as does understanding these segments, for example patient profiles, treatment pathways and interpreting real-world data to assess what is currently happening. PT: How does pharma deal with diverse geographies during launch? AH: This is difficult! Local and national reimbursement environments vary significantly by country and many will reference decisions in other countries (often the UK), plus market access decision-making is becoming more advanced in emerging markets too, so there is no ‘one size fits all’ launch strategy. On the plus side, more data is generally available now, particularly in secondary care, to support local identification of prescribing and payer decision makers, although again this is variable by geography. PT: What does the successful pharma launch process look like to you? AH: As mentioned earlier, is has to start with robust data to accurately size the market and understand the prescriber, payer and patient landscape, particularly in more niche indications. Benchmarking data for competitors or suitable analogues is important here to forecast product uptake, plus data on areas such as prescribing dynamics, persistence, days of therapy to model prescriptions and sales over time. This should be linked to attitudinal and behavioural data from more traditional market research. Closer to launch, this analysis should serve as the basis for the size and profile of marketing activities and associated sales force investment, but must be updated as markets evolve. At a high level, consistent data should be pulled together across geographies in a clear and easily digestible format to facilitate decision making. PT: How has the new NHS structure impacted pharma launch in the UK? AH: It has been a big change, so pharma companies need to quickly identify the new stakeholders and decision-makers from within the CCGs [Clinical Commissioning Groups]. Securing high level NICE endorsement has been key for some time, but these changes make it more challenging to ensure it is adopted quickly at the ground level. More positively, the whole data accessibility agenda for the NHS, where practice level prescribing data is being made available for England and Wales, is hugely valuable. However, the depth of information is limited, so it must be supplemented by and integrated with other sources for robust analysis and insight. For more information from the results of the Cegedim Strategic Data survey on pharma launch, download the free white paper on pharmaphorum now. Adam Harris is UK Commercial Director for Cegedim Strategic Data (CSD), a leading market research company dedicated to the healthcare industry and operating worldwide. In the UK, CSD has made newly available NHS prescribing data easily accessible to its customers and, by combining these data with its leading syndicated patient and promotional databases and primary market research, offers valuable additional insights into practice potential, patient profiles and treatment and the impact of sales and marketing campaigns. To learn more, please visit www.cegedimstrategicdata.com, email infocsd@cegedim.com or follow Cegedim Strategic Data on Twitter @CSDCegedim. What is the key to successful pharma launch?